Hyundai Motor India Ltd (HMIL) will soon launch a new small car that will be slotted below the Grand i10 in the company’s product portfolio. 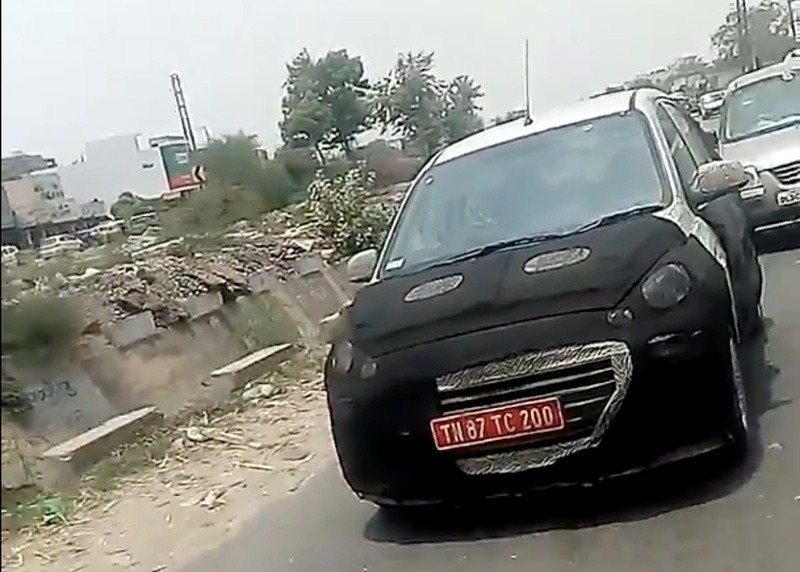 Internally known as the Hyundai AH2 (codename), the upcoming car will likely resurrect the Hyundai Santro moniker. Here are 10 things that you should know about the AH2 hatchback. The Hyundai AH2 (new Hyundai Santro) will launch by October-end. It's evident from spy images that the Hyundai AH2 will have a tallboy design. This is in line with the design of the original Santro. The tallboy design will lead to a sufficiently airy cabin. At the front, the new Santro will feature Hyundai's signature cascading grille. Also, spy images reveal that the A- and B-pillars of the upcoming small car look similar to those of the old Hyundai i10. The Hyundai AH2 will be built on a slightly modified version of the last-generation i10's HA platform. The old platform has been updated to meet the upcoming crash safety norms. Unlike several speculations, the car won't be built on the low-cost PA platform of the Eon. Powering the new Hyundai Santro will be an updated version of the 1.1-litre, four-cylinder engine of the old i10 and the Santro Xing. This 1,086 cc engine will meet BSVI emission norms. It's likely to have a fuel efficiency-focused. The Hyundai AH2 will become the first model from its manufacturer to offer an AMT. The AMT will be marketed as 'Smart Auto'. The AMT will be a 5-speed unit. Manual variants of the new Hyundai Santro will have a 5-speed gearbox. Various spy images have shown us that the Hyundai AH2 will have a fairly upmarket cabin with dual-tone interior panels and a touchscreen. The new Hyundai Santro will have a Grand i10-like steering wheel that will offer audio and phone controls. The touchscreen will be available only on the top-end trim. The seats will have fixed headrests. The new Hyundai Santro will offer a host of standard safety features. All the variants will likely have dual front airbags, ABS, and rear parking sensors. This will enable the AH2 to meet the upcoming stricter safety norms. Some spy images have already shown us that the new Santro will have a roomy interior. Y K Koo, MD & CEO, Hyundai Motor India Ltd, has said that the new Santro will be wider and bigger than the earlier iteration. The Hyundai AH2 could have dimensions similar to the first generation i10, which, had a length of 3,585 mm, a width of 1,595 mm and a height of 1,550 mm. 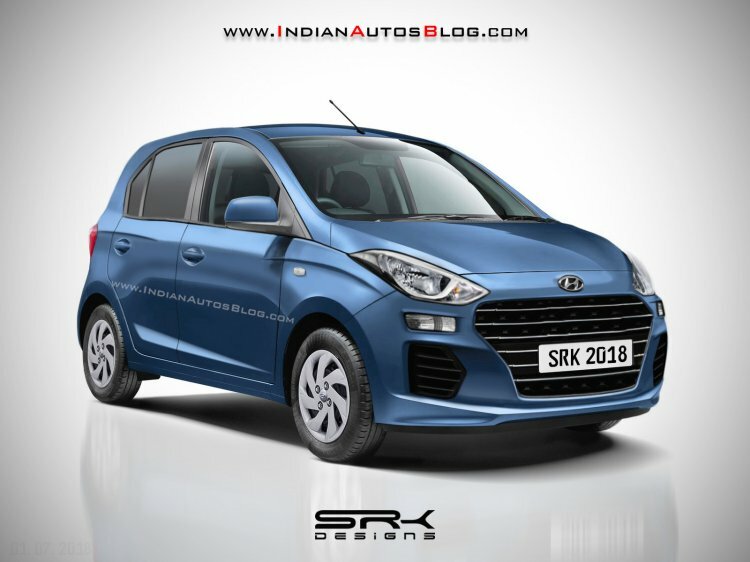 While Hyundai Motor India Ltd is yet to confirm the name of the upcoming Hyundai AH2, several reports indicate that the new car will revive the Hyundai Santro nameplate. The company has already launched a contest wherein participants have to suggest names for the new car. It's said that the winning entry will be used as a suffix to the Santro moniker. Several publications report that the workers at HMIL's Tamil Nadu plant call the AH2 the 'new Santro'. The new Hyundai AH2 will launch by the end of October 2018. Like we said, the new car will be slotted below the Grand i10 in the company's product portfolio. The new Hyundai Santro will replace the Hyundai Eon. Reports saying that the Hyundai AH2 will replace the Hyundai Eon would make one think of a starting price of around INR 3.25 lakh. However, Y K Koo has said that this model's prices will fall in the INR 4-5 lakh bracket.